Livraison gratuite Norme de service d'expédition uniformes Le délai de livraison estimée: 7-15 jours ouvrables. Détails? It works for both Citroen and Peugeot. Now support Peugeot 307! Lexia-3 PCB edge is golden with original full chips. Double PCB has 7pcs optocouplers, which are 100% original and new. lexia-3 relays are 12pcs, which are 4.5V, it is more stable. 2. It works for both Citroen and Peugeot. 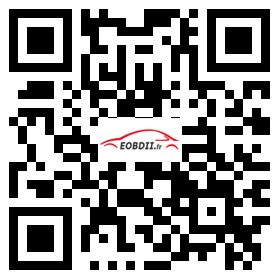 Now support Peugeot 307! 3. Lexia-3 PCB edge is golden with original full chips. Double PCB has 7pcs optocouplers, which are 100% original and new. 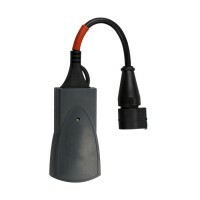 4. lexia-3 relays are 12pcs, which are 4.5V, it is more stable. It compatible with Citroen cars including, C1,C2,C3,C4,C6,C8,C-CROSSER,NEMO,BERLINGO,JUMPY,JUMPER,AX,SAXO,BX and so on. It compatible with most Peugeot cars from 1995. Diagnostics is performed via OBD-II connector (which is located near steering wheel) or via manufacturer-specific connector (only older cars, pre-2001). Software requires at least Intel Celeron/Pentium III 400 MHz, 128 MB RAM, 50MB free HDD space and USB 1.1 port (USB 2.0 recommended) and Microsoft Windows 98 SR2/2000/XP with the latest service pack installed. Note: Please setup the software according to the requirements of hardware and software. Otherwise it will fail to setup and bring you much trouble. Unlike other universal car scanner tools which only read fault codes, this software performs nearly ALL the functions like the original dealer diagnostic tool. 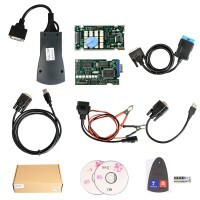 Our diagnostic interface contains K-Line multiplexor, CAN-BUS interfaces and SAE J1850 bus (both PWM and VPW). Avis: Avant de faire la commande sur mon site, s'il vous plaît enregistrer votre compte paypal pour protéger la transaction. Les colis DHL envoyés vers l'outre-mer de la france (Martinique, Réunion, Guadeloupe etc. ) ont peut-être des frais de douane, merci de votre compréhension.